No Tricks...Just Treats with Deep Red Wines this Halloween‏! We all know that chocolate will be overflowing in your house in a couple of days (if it isn't already...). Why not pair some of that chocolate with your favorite dark red wine?? I know I will be! As Halloween creeps closer, Save Me, San Francisco Wine Co. invites you to get in touch with your “dark” side by treating yourself to a rich, deep red wine. Check out three of my favorite reds below and how to pair them with your favorite Halloween chocolates! This intense, full bodied “California 37” Cabernet Sauvignon is a bold wine that pairs well with peanut butter filled candies. This Cabernet Sauvignon pairs perfectly with these sweet-salty treats or it tastes great on its own too! This smooth, full bodied “Hella Fine” Merlot has flavors of chocolate and cherries and pairs nicely with crunchy wafer candies! And my personal favorite varietal, “Soul Sister” Pinot Noir is a light red wine that compliments smooth milk chocolate. With its flavors of ripe cherries and strawberries and its smooth finish it is definitely good with OR without chocolate!! 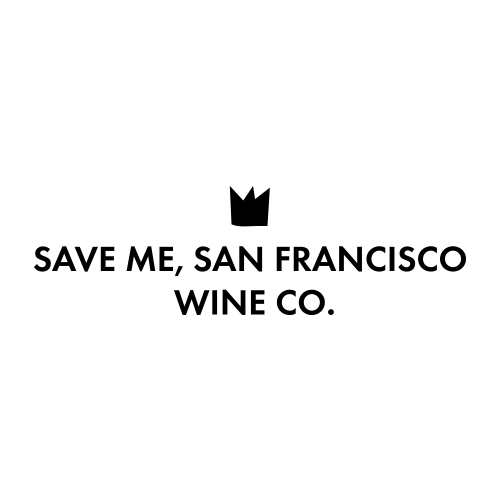 You can purchase all Save Me San Francisco wines online or at a local retailer.